The Jewish bond with the Golan Heights begins in the biblical era and continues to this day. from the period of the Talmud, the establishment of the Zionist movement and the establishment of the State of Israel – a chain of Jewish history was associated with the Golan. The Golan was referred to as “the land of Bashan” according to the biblical borders of the Land of Israel. After the split-up of the kingdom, the Golan remained under the control of the Kingdom of Israel and, as a fertile region, it had considerable economic importance. Its importance to the Kingdom of Israel is evident from the abundance of magnificent wars and battles that were waged there, including Ahab’s victory over Ben-Hadad, King of Aram, in Afek in the Golan. The Jewish community in the Golan expanded and developed at the end of the 6th century BCE and continued at the beginning of the 5th century BCE, with the return of exiled Jews from Babylon. About three hundred years later, circa the mid-2nd century BCE, the Hasmonean King Alexander Yannai annexed the Golan and made that territory part of his kingdom. In 67 CE, three years before the fall of Jerusalem and the destruction of the Second Temple, the Siege of Gamla was waged in the Golan, one of the Jewish rebellions against the Roman Empire, which became part of the ethos of defense and sacrifice over the land. About 9,000 Jewish warriors fell during that battle, which was similar in its characteristics to the Siege of Masada. During the period after the rebellion, Jews continued living in the Golan for about another 500 years, until after the Talmudic Era. The synagogue in Katzrin and various archaeological findings attest to the existence of a prosperous Jewish population in the region also during the Byzantine Era. The archaeological excavations in the Golan have discovered to date about 25 synagogues that were used during the period between the Jewish rebellion during the 1st century and the Muslim conquest during the mid-7th century. 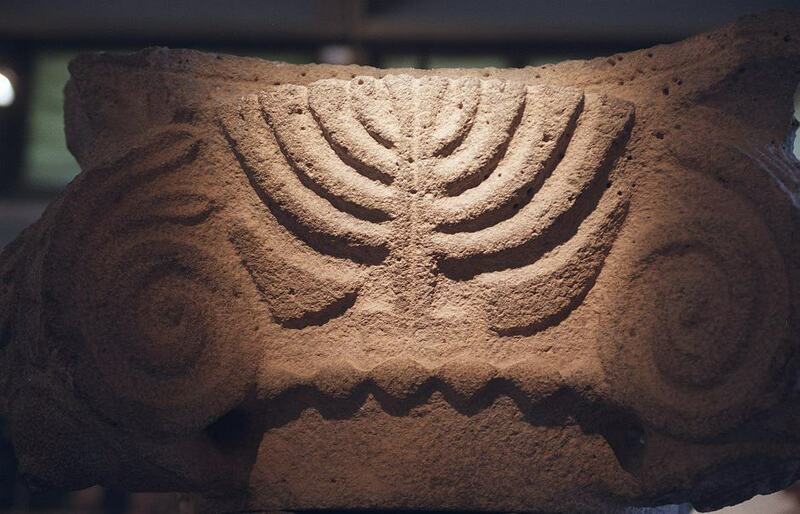 Evidence of the existence of many Jewish villages and communities was also found. The Muslim rule severed the more than 1,600 years of continuous Jewish residence and forced religious conversions on the Jews who lived in the region, but there is considerable evidence of Jewish life in the Golan even after the Muslim conquest.